The Mission: McCulloh Builders are committed to providing the best in full-service residential and commercial restoration. Our mission is to offer customers the highest quality products available at competitive prices while maintaining excellence in service and craftsmanship. We commit to treating our customers, vendors, and associates with honesty, professionalism, and respect. 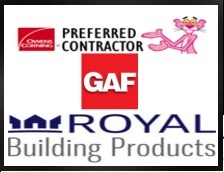 McCulloh Builders is a licensed general contractor who can handle your entire restoration project from start to finish.